Nowell is situated at Huon in North East Victoria 20 minutes from Wodonga. The farm consists of 600 acres ranging from undulating to hills. 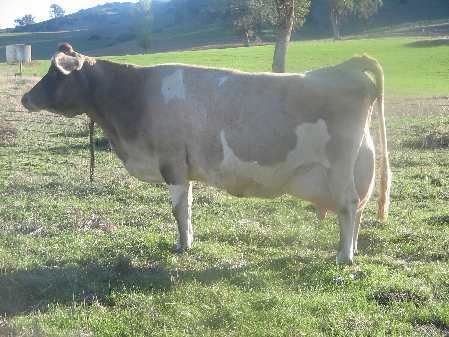 We have no irragation and most young stock are run at home. Due to ongoing drought conditions, 2009 saw Noel and Karen move to South West Victoria to obtain outside work. Portion of the Nowell Cows have moved down with us and are being milked by Roger Heath of Wanstead Jerseys who has done a Great job looking after our girls. 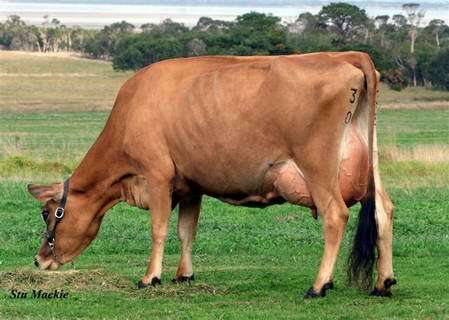 The Balance of the herd has remained at Huon where the family farm ticks over at less than half its original capacity due to lack of drinking water. We aim milk approximatly 250 cows year round, and cut hay and silage from the farm. We run an Embryo program from November until May each year. 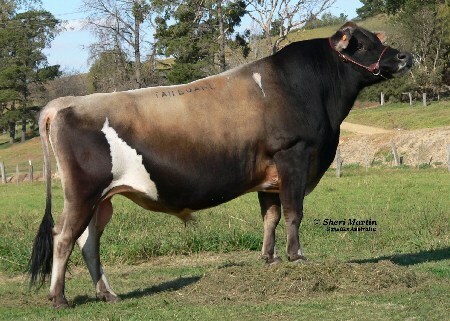 We have had international interest from Sri Lanka, New Zealand and the U.S.A. and in recent years have sent over 60 embryos to China, 20 embryos to New Zealand, 9 bulls to India, and 8 bulls to Malaysia. Sandra, Davinia, Benita, Princess, Fernleaf, Magnificent, Gem, Maybell. Flower, Althea, Babe, Champs, Kelli, Golden, Telca, Ginger (Pop). 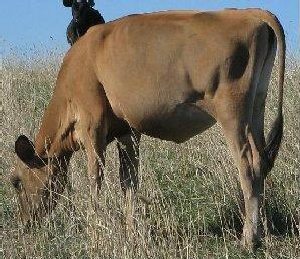 We have tested a majority of our cows for A2 a complete list of Animals tested A2/A2 is available for those interested in these genes. Louie, Sandblast, Eclipse, Valentino, TBone. Aries, Vipor, Sassafras and Rascal. Gannon, Hipflask, Blackstone, Santana, Rascal and Aries. Lexington, Flowerpower, Augustus, Valerian, Parade, Powerpack, Futurity. SANDRA RANKED No. 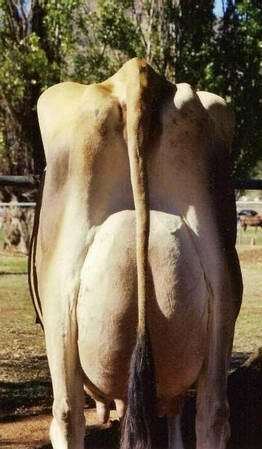 1 ON THE FEB '05 COW A.B.V. LISTINGS AND HER FOUR DAUGHTERS HAVE ALL BEEN IN THE TOP 30. 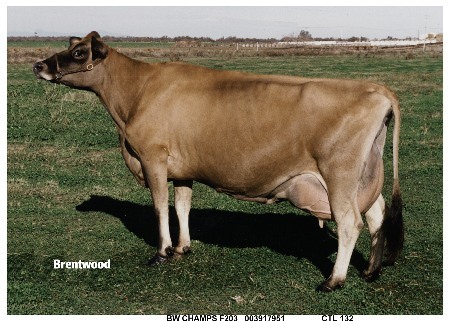 IN APRIL 2004 SANDRA WON THE MOST VALUEABLE COW CLASS IN THE NEJCC. 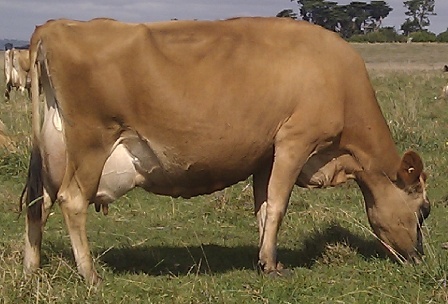 She calved again at 14yrs and 6 months with a Blackstone heifer. 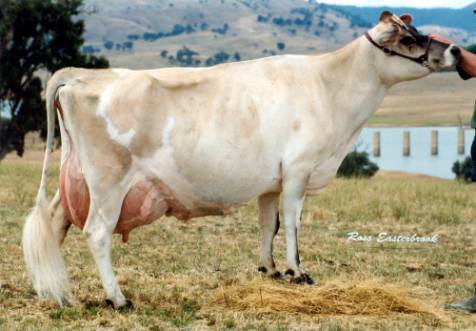 Her 3rd son to enter Progeny Test SANDBLAST has his 1st daughters milking and Looks promising. 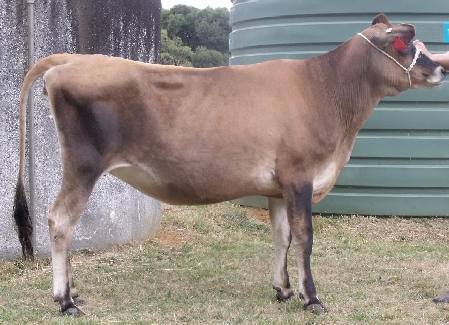 Sandblast has been added to the active Proven team at Agri Gene giving Sandra a perfect record for graduating sons with both her previous sons graduating into the top 3. 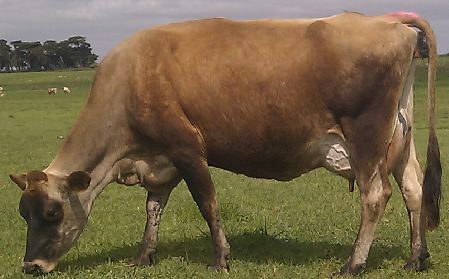 SHE IS ALSO THE DAM OF THE PREVIOUSLY NUMBER ONE RANKED BULL "TAILBOARD"
Her full brother Aries is being tested . 11 generations VHC or higher across Australia and N.Z. Making up 17 of 18 generations VHC or better. and POWERPACK is available from AGRI GENE. 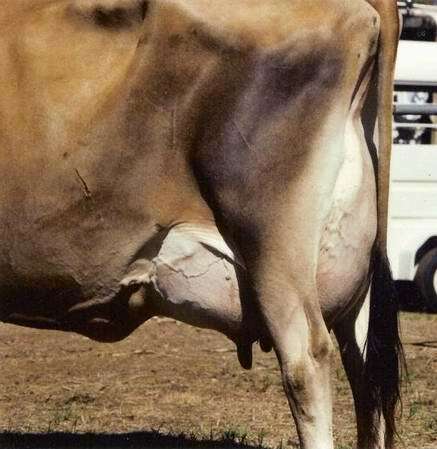 An Incredible cow from a strong maternal line. Rebob Berretta Nellie Ex Can. The foundation of our Great Nellie Family. Our opinion on the Nellies.
" EVERYONE NEEDS A NELLIE." 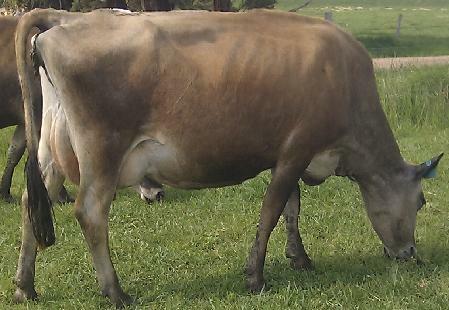 She is an ALF x Ex 91 Sweet Grass Lester Golda x Sooner from Sweet Grass Brass Gulka. 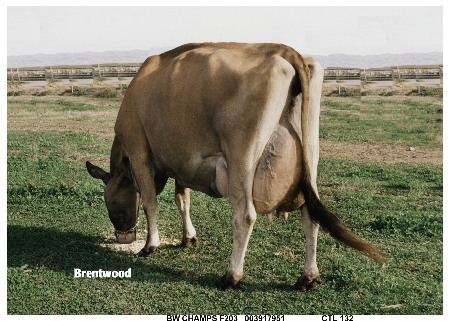 She has an Action and a Megastar daughter at Nowell and a Sandblast daughter at Meldan. Winning Ways Golden Charisma scored Ex and P.I. 'd 116. She has daughters by Rebel, Brookbi, Louie and Blackstone. Currently bred to Aries. We sold her Jace daughter at the Northern Lights Sale 08. Soon after we had purchased Charisma. 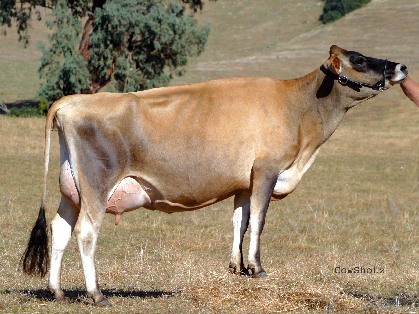 We had the opportunity to buy her dam the Berretta daughter of Champs F-203 Ex96. 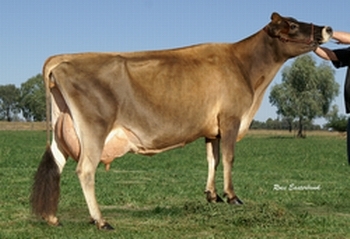 She has a classy daughter by Gannon born Spring 09. NOWELL JESEYS - Setting Tommorows Standard Today.